All of the homes and businesses have their own mail boxes. 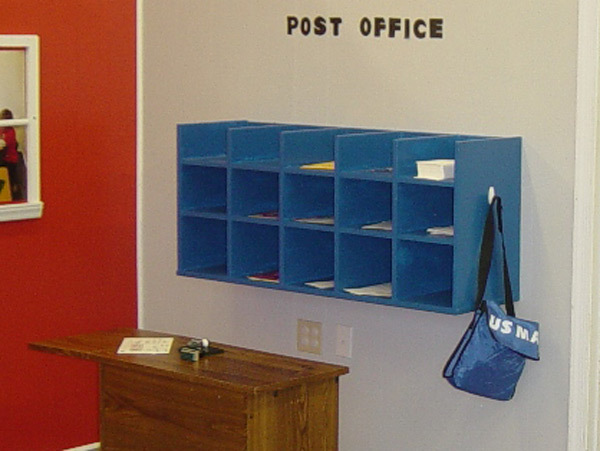 The mailman can stamp the mail, then stuff it in the mailbag to deliver it around town. Be sure to stop in at Griff’s for a cup of coffee and beware of the dog at 123 Main Street!